Meet the Crew | What Is Philanthropy? Professor Alaimo teaches the nonprofit management courses in the School of Public, Nonprofit and Health Administration at Grand Valley State University. He earned his Ph.D. in Philanthropic studies from Indiana University and his M.S. in Urban Studies / Nonprofit Management from Georgia State University. Salvatore has worked in nonprofit organizations for nine years and consulted for nonprofits for eight years. His publications include the book chapters Contracting out in the Handbook of Research on Nonprofit Economics and Management, Nonprofits and Evaluation: Managing Expectations from the Leader’s Perspective in The Jossey-Bass Reader on Nonprofit and Public Leadership, Quality Improvement in Volunteer Administration: Professional Practice, and several entries in the International Encyclopedia of Civil Society. Cynthia Kay founded Cynthia Kay and Company media production after working in broadcasting. As a professional broadcaster, she was honored with awards from United Press International, the Associated Press and numerous regional and local broadcast awards. A graduate of Michigan State University, Kay holds a Masters in Communications from Western Michigan University. 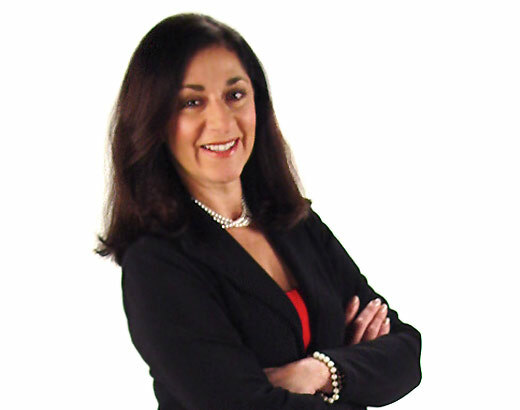 She is the Past Board Chair of the Small Business Association of Michigan (SBAM), Chairs the SBAM Political Action Committee and serves on the National Small Business Association (NSBA) Board. Cynthia was honored as One of West Michigan’s 50 Most Influential Women in 2006, 2008, 2010 and 2012. Jason Woods has been a part of the production industry for more than a decade, working in roles from voiceover production to non-linear editing. He got his start in an audio production studio housed in an old chicken coop (yes, you read that right) before moving on to TV production, and later promotion, at WOOD-TV 8 in Grand Rapids, MI. Jason currently produces and edits all manner of video-based pieces for Cynthia Kay Media Production, ranging in scope from short-form promos up to long-form documentaries. He is thankful to no longer work in a chicken coop. Mike Daly brings 19 years of experience as a video journalist to this project, 13 of which have been spent as a news videographer for WAGA Fox 5 TV in Atlanta, GA where he currently resides. He also worked for eight years as a videographer for the US Army Reserve, including three terms served in Iraq. Mike has earned four Southeastern Regional Emmy awards for his work in the categories of Continuing Coverage, Spot News Coverage, Technological Achievement, and Television Craft Excellence. 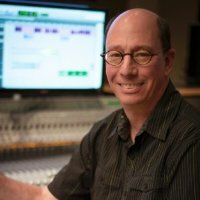 James Schaub is a Communications System Technician and Adjunct Professor who teaches film and video editing and effects at Grand Valley State University. He brings 16 years experience in the field of film and video production as a producer, editor, writer, camera operator and technical adviser to this project, and has produced corporate, documentary, non-profit, and educational films. James recently completed production of a documentary called “Up From the Bottoms: The Search for the American Dream”, a story about African American migration to Muskegon in the 1940’s and beyond, featuring Emmy award winning actress and humanitarian Cicely Tyson as narrator. He has worked on three documentary films that have aired on PBS and also has a video in the permanent collection of the Metropolitan Museum of Art in New York City. 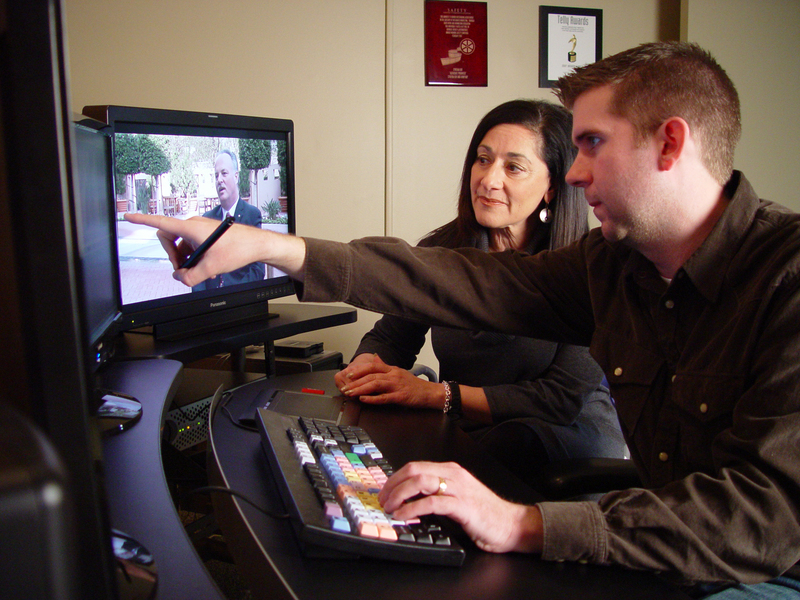 David Peterson is owner of STONE BRIDGE Productions LLC, a full-service video production and post production company, since 2005. His most recent work is the documentary, Great Lakes Chronicles. 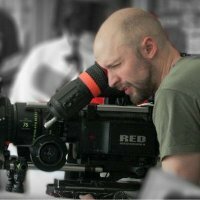 He has 16+ years of film and video production experience in many capacities including documentary storytelling, editing of corporate, and recruitment videos, and broadcast TV programs and many commercials. David has won a regional Emmy, Silver Telly, Golden Cine, People’s Choice and Addy award for his work. David Patton served as cameraman for several shoots including Mike Farrell and Alex Smith. He is a filmmaker who has been writing and directing award-winning films for over a decade. David is currently a full-time editor at Bunim/Murray Productions, the company behind the smash hits Keeping Up with the Kardashians, Project Runway and The Real World, among many others. He also works as an editor full-time for Funny or Die, recently editing comedy pieces featuring Christina Applegate, Dylan McDermott, Tim Meadows, Jeffrey Tambor, Judd Nelson, and Donald Glover. David wrote and directed the short films Harrison Bergeron, UpFlush, Warehouse 10, and the award-winning short films Buford the Bulland J.C. He has lent his talents to feature film productions Fast & Furious (Universal), Offspring(Sam Raimi’s Ghost House Pictures), and the award-winning feature documentary Up From the Bottoms: The Search for the American Dream. David also has worked for television shows 24(Fox) and CSI: Miami (CBS). 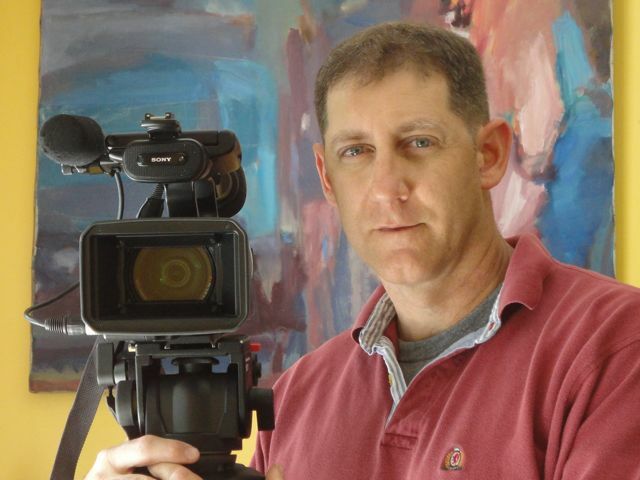 Michael Elzinga is a freelance videographer/editor and owner of Colortrack Productions, a small video production company in Grand Rapids, Michigan. He received his Bachelor’s degree in Film and Video Production from Grand Valley State University. He aspires to make videos exploring human nature and the stories of everyday people because he believes that everyone’s story is important and worth telling. 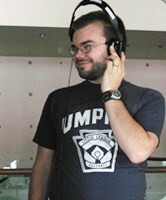 Aaron Bannasch is a graduate of Grand Valley State University’s Film and Video program. 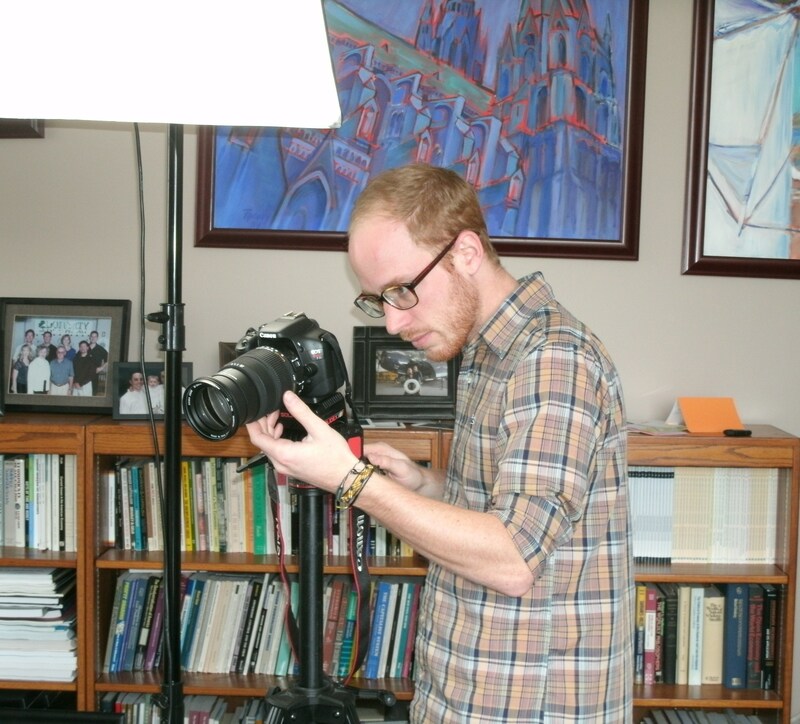 Before being hired as a cameraman, Aaron contributed substantially to this documentary through his editing work at GVSU’s Digital Studio. He is currently continuing his education at GVSU, pursuing a Masters in Communications. He spends most of his time helping others share their stories, in turn helping himself craft his own. A few samples of Aaron’s work can be found at http://vimeo.com/bannasch. 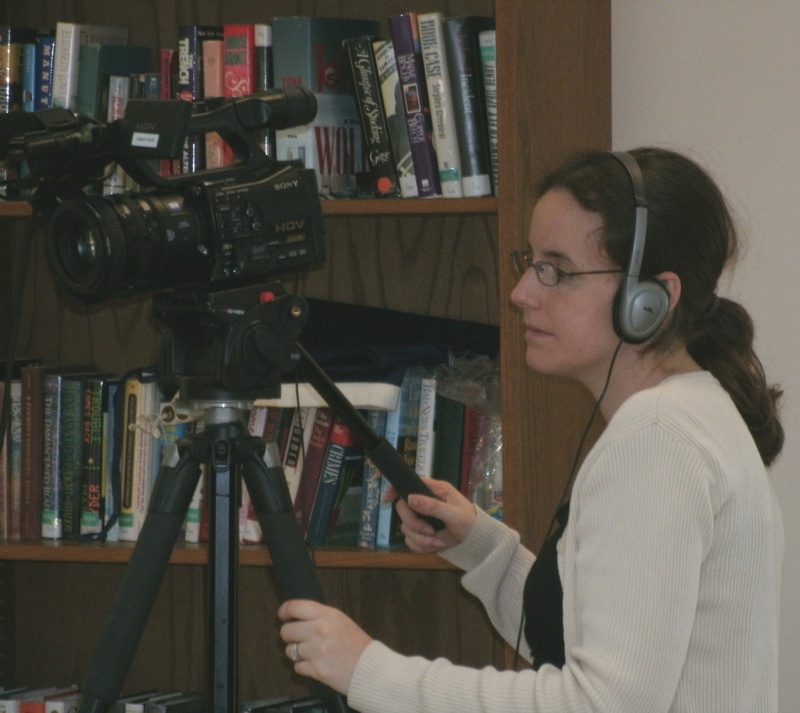 Jennifer Fritz is the co-founder and co-owner of AJ Media Services LLC, a full service, professional video production company in the Nashville, Tenessee area. Some of their clients include the Mendoza College of Business at University of Notre Dame, Nashville Jewish Film Festival and Sound Kitchen Studios. Jennifer began her career as a sports camera operator working at the First Union Center in Philadelphia for the Sixers, Flyers and Wings. She has also worked in various areas of video production for FOX, WYBE, Trump Taj Mahal in Atlantic City, MBC & Associates, Opryland, and the Nashville Film Festival. Bryan Sarkinen is a graduate of New York University with a joint degree in Film Production and Journalism. 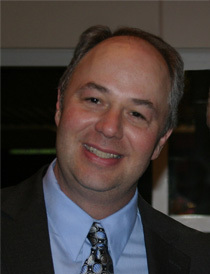 At NYU he created the movie review show “The Inside Reel” that aired on college networks nationwide. Since then, he has produced a range of projects, from documenting rap star P. Diddy’s world travels to documenting children in Bangladesh, Yemen and Burkina Faso for the United Nations Population Fund documentary “Too Brief a Child: Voices of Married Adolescents.” Bryan’s work has been featured on Court TV’s “Under Fire,” CNBC’s “The Oprah Effect,” HBO’s “Le Cirque: A Table in Heaven,” and in the 2011 documentary “Page One: A Year Inside the New York Times.” Bryan has also been producing wedding videos for over 10 years through his company BryanSarkinenWEDDING Inc.
Spencer Herzog founded Creative Sound Concepts in 1982 after nearly 10 years of working in marketing and promotions for MCA and ABC Records. Creative Sound Concepts is a full service audio production and postproduction facility with extensive experience in television, documentaries, radio, film, multimedia, corporate communications and audio for the Internet. Spencer has mixed television series, documentaries and live sporting events including the Super Bowl and the Olympics for International broadcast. 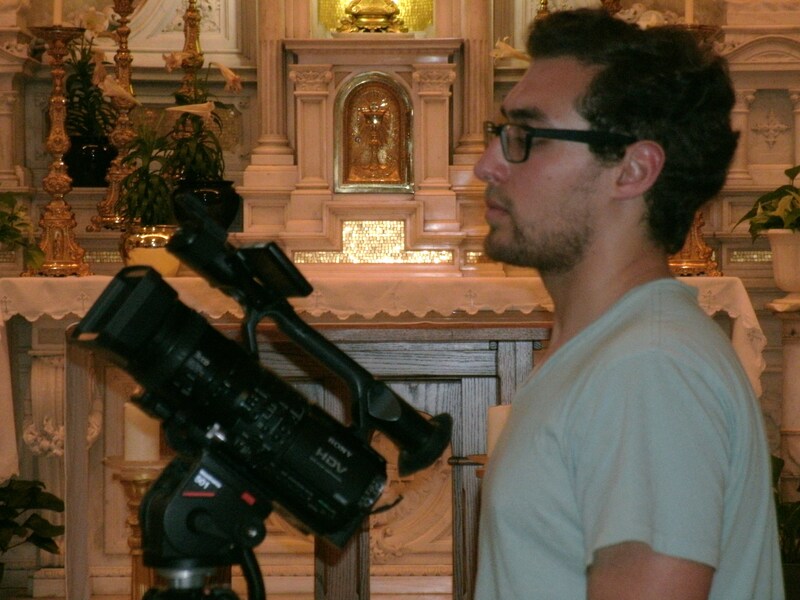 Chad has shot nearly half a dozen feature films and over 100 short films, commercials, music videos and documentaries. He started by receiving a BA in fine art and communications from Calvin College with an introduction to film by Compass Film Academy in 2002. Since then he has followed his passion into the camera department, working as an assistant and operator on feature films while shooting and grading projects on the side. He has shot around the globe, received numerous awards, and has had both narrative and documentary work honored at leading international film festivals.